A direct train connects Brussels International Airport (level -1) to the Bruxelles-Midi Train Station in 20 minutes. Click here to book your ticket in advance – Cost per ticket: 9.00€. Select “Brussels Airport – Zaventem” as the departure station and “Bruxelles-Midi” as the arrival station. 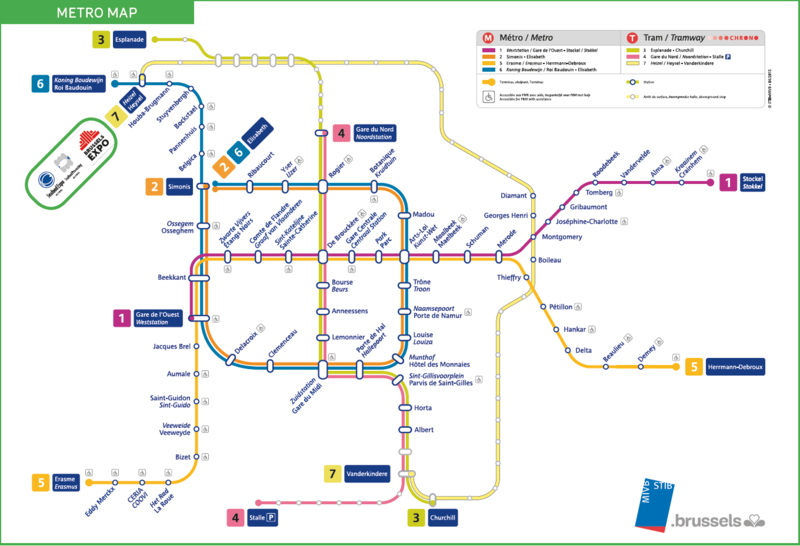 From Bruxelles-Midi, take the direct metro line number 6 towards Roi Baudouin and get off at Heysel. This journey will take about 15 minutes. Use the metro for free during expo days with the Event Pass. A FREE Airport Shuttle service is provided by the Organizer between Brussels International Airport (Zaventem) and BRUSSELS EXPO on 7-9 May 2019. Shuttle pick-up location at Zaventem: Ground Level – An attendant wearing a red t-shirt with ‘Need Info’ on it will guide you from the baggage claim to the elevator that will bring you to the level of the bus terminal. If you cannot locate the attendant, please proceed to the visit.brussels information desk near the Brussels Airport Information Desk located in the public arrival hall (beyond baggage claim).